We're happy to announce the next 4.9 update to MockShop is here. We listened to customer feedback and have implemented tonnes of new feature enhancements to improve the way you digitally plan your stores and product collections. Save time merchandising your 3D stores with your products. You can now easily drag and drop your garments along the hangline of a fixture and the quantities are automatically reflected on screen. 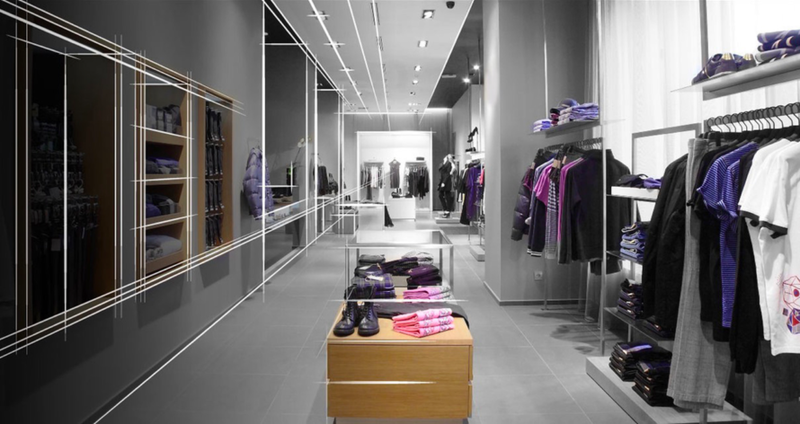 Create even better 3D mockups of your stores. From hardware to garments, any of your products can now be stacked on top of each other allowing for almost unlimited ways of merchandising your store. Help your store teams execute VM guidelines with more speed and accuracy. Your planograms now contain barcodes with all the correct product data linked. Ensure you're sending the right amounts of products to the right sized stores. Now you can link your product data and group your stores based on linear square metres of available fixture space. You can now visually sort your products with more precision. Add a third drilldown filter in your range analysis to gain more insight into your product collections at a glance. Cut your images out faster and easier. Improved editing functionality when it comes to trimming the outlines with a number of quality of life enhancements. Highlight your in-store product data with revolutionary heat mapping tools. With MockShop's new heatmap functionality, you can simply select which data to overlay onto your 3D store and gain better insights. Get empowered with better data about your stores at a glance. Learn how using heatmaps can dramatically improve your retail performance.